As has become the norm in recent years, the transfer window was once again a time of frustration for Baggies fans. With a string of names linked to the club, albeit likely that the links were often spread by agents looking to drum up interest, there were hopes that Albion would finally splash the cash and bring in some real quality. In new record signing Nacer Chadli, it could be argued that is indeed the case, but the failure to land William Carvalho or Ignacio Carmacho in midfield, or a top level striker, meant that most Baggies fans woke up on 1st September with a sense of disappointment. 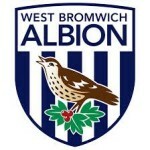 It was a feeling that is apparently shared by Albion manager, Tony Pulis, although chairman, John Williams, seemed to put at least some of the blame at the Welshman’s door in his statement that one target was switched late on at Pulis’s request. We are unlikely ever to find out the full truth of what happened between the Albion hierarchy on Transfer Deadline Day, or the days leading up to it, and we can only look at what did happen and what that might mean for Albion’s season. Firstly, while regular readers will know that I am no fan of Tony Pulis, part of me is glad that he has decided not to walk away now. I’m not sure who could come in at short notice and steer us through the next few months any better than Pulis but if, as reported, there is still money to spend in January, I’d prefer for someone else to be at the helm by then. Of course, should Albion go on a fantastic run playing scintillating football, my views may change, but I’m not holding my breath. While the overall impression of Albion’s business over the summer is hardly positive, each new signing taken in isolation can be considered positive. Firstly, we have have two specialist full backs that Tony Pulis should be prepared to play. We’ve already had a look at Brendan Galloway who has joined on loan from Everton, and the first impressions are good. He looks to be a good defender and, providing our erstwhile leader doesn’t beat it out of him, he is an ambitious full back who will give us some genuine width on the left combined with enough pace to make that effective. The Zimbabwe-born England U19 international had played a handful of games for MK Dons when Everton signed him two summers ago. He started 14 Premier League games for the Toffees last season and it was a surprise that they allowed him to leave, although he would’ve been unlikely to get much game time this season providing Leighton Baines stays fit. On the right, Craig Dawson’s place in the side looks to be under threat following the signing of Allan Nyom from Watford for £3m or £4m, depending on which report you read. The Frenchman, who was signed by the Hornets from Granada on Bastille Day last year, started 29 Premier League games for the Hertfordshire club last season as well as four of the ties in their run to the FA Cup semi-final. His place this season has only been lost due to the new manager, Walter Mazzarri, preferring to play three centre backs rather than the traditional back four. We’ve had a few games to run our eyes over Matt Phillips following his £5m move from QPR earlier in the summer. He is someone that Pulis has been after for some time and he has looked like a decent signing so far. He certainly offers us a little more pace and creativity than many of Albion’s midfielders, but as Albion’s second most expensive signing of the summer, he is a little underwhelming! Hal Robson-Kanu maybe a hero on the other side of Offa’s Dyke, but as Albion fans waited for a marquee signing on deadline day, a free transfer from Reading was hardly one to set the pulses racing. It is, perhaps, a little disingenuous to describe the Welsh international in such terms – he was available on a free transfer having refused to sign a new contract for the Royals, a decision he took ahead of Euro 2016 and one which, perhaps, suggests he is confident in his own ability. His wonder goal against Belgium certainly raised his profile and, while he claims he had a host of offers, there aren’t many Baggies fans who think that his signing is something of a coup. The fact that it happened on Deadline Day is a little strange given that his status meant that he could have been signed at any time, and that is perhaps an indication that the club felt they needed to do something that day as other targets fell by the wayside. HRK’s goal-scoring record is hardly impressive – just 39 goals in 271 appearances in the ten seasons since he made his league debut on loan at Southend. His best scoring season is actually the only one he spent in the Premier League – he scored 7 goals in 25 appearances (including 12 as sub) for Reading in 2012/13. He is definitely not the answer to Albion’s goalscoring problems, but he’s certainly a better option than Rickie Lambert to come off the bench! And so the new record signing, Nacer Chadli. A reported fee of £13m was paid to Spurs for the Belgian international eclipsing the £12m paid for Salomón Rondón last summer. At 27, he should be in his prime but was evidently not in Mauricio Pochettino’s plans despite a fairly impressive goalscoring record for a winger. In 2014/15 when Chadli was a regular in the Spurs team, he scored 11 goals from 28 starts in the Premier League and scored more than 50 goals in six season in Dutch football. At 6’2″, he has the sort of physical stature that Pulis likes, and having effectively been rejected by the north Londoners, he certainly has something to prove in the Premier League, not to mention to his new international boss, Roberto Martínez, as he looks to regain his place in the Belgium squad. If you look at the ins and the outs in isolation, it doesn’t look too bad. Chadli in for Sessègnon is surely an upgrade while Nyom and Galloway in for Gamboa and Pocognoli are at least players that Pulis will look to play. I personally wish Cristian and Poco all the best of luck as they have not been given a fair chance at the Hawthorns. HKR can probably be classed as an upgrade on Rickie Lambert and Victor Anichebe combined, although the club are a little short up front. The big money sale, James Chester, was good money for Albion and good news for Chester. Like the two full backs, Chester wasn’t given a chance to play in his best position and Pulis should think himself lucky that Albion managed to recoup their outlay on the Welsh defender having signed him for a large fee intent on converting him to a full back. Having said that, when you consider the squad as a whole, the majority are a year older and there remains a lack of pace, creativity and cover in some areas, particularly up front and in defensive midfield. If Albion can remain injury free, the first eleven is probably good enough to secure a mid-table slot, but a few injuries could leave Albion perilously close to the drop. Entertainment is likely to remain at a premium.